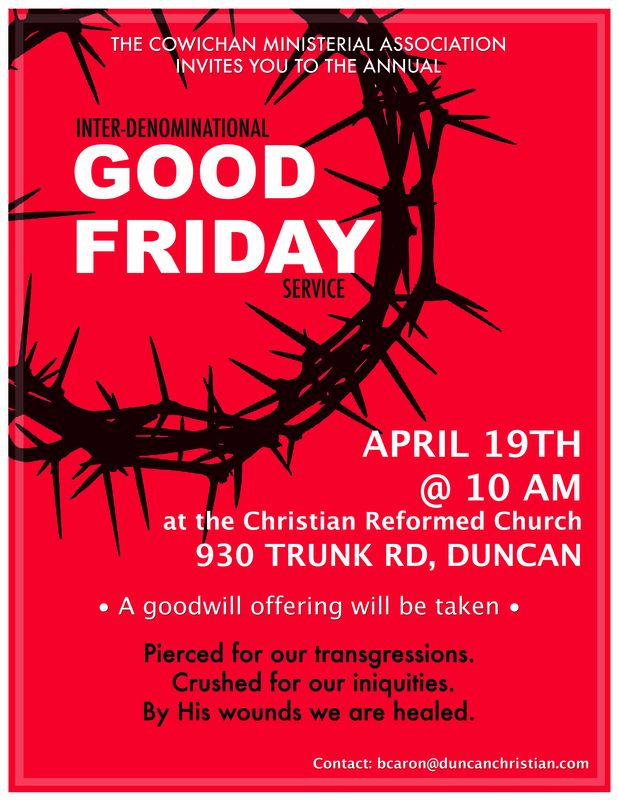 DCS is delighted to be a part again this year in the Inter-Denominational Good Friday Service held at the Christian Reformed Church (930 Trunk Rd) on April 19th @ 10:00 AM. Please join us and invite your friends. See you there!